The smart paint application system. Use in combination with the Advanced Paint Stirrer for optimum results! With how many air pressure do I need to use this system? We advise to use the Tander Paint Application system with 2 Bar. 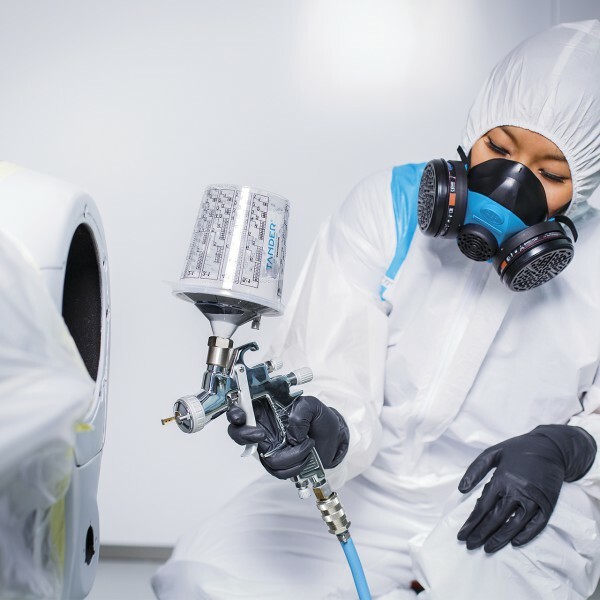 Depending on your spray gun or type of paint, you might need to adjust this a bit, but please make sure you don’t exceed the maximum of 4 Bar / 58 PSI. Is the Paint Application System available in different sizes? Yes, the Paint Application System is available in a 350 ml version for spot repair. Can I use the Paint Application System multiple times? No, the system is intended for single use only.